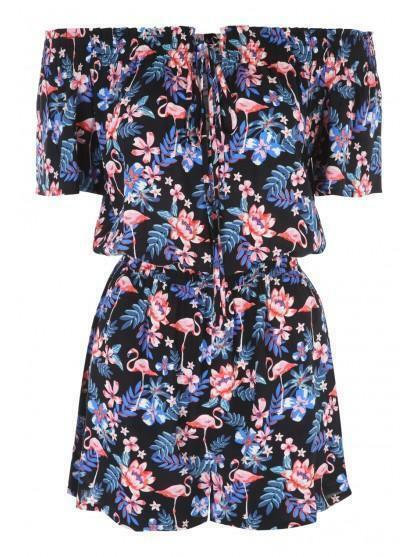 Get ready for the summer with this must have jersey playsuit. 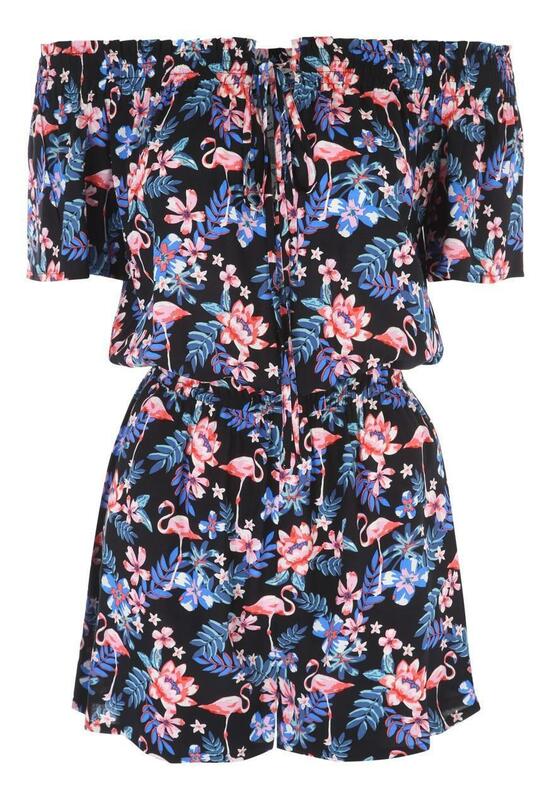 In a trendy floral finish, and featuring a bardot neckline, and finished off in a timeless black hue throughout. Essential for holidays or casual weekends at the beach! Love this! It is comfortable and not too short either. Cant wait to wear this on holiday. I love the pattern too. Colours a bit dull. Did not suit me.